It also alleged the CPM is resorting to false campaigns to destroy the image of VTM NSS College, Dhanuvachapuram, to help a private aided college. 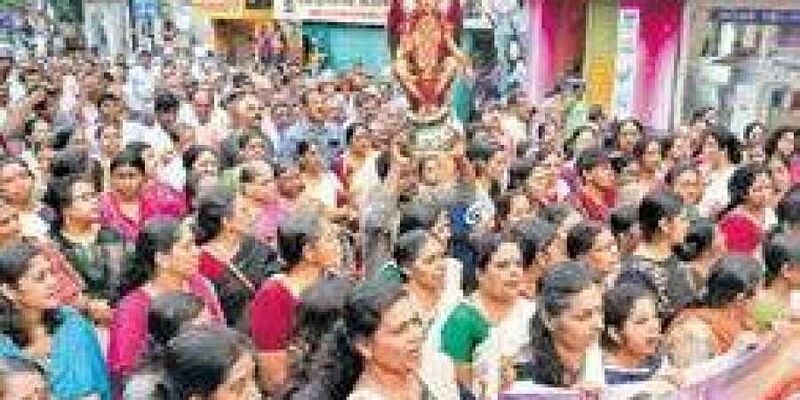 THIRUVANANTHAPURAM: NDA’s district unit has asked the district administration to act against the CPM efforts to mobilise members of the Kudumbashree, MGNREGS and ASHA for party meetings on the Sabarimala issue. NDA district secretary Pappanamcode Saji said the CPM workers were coercing the Kudumbashree, MGNREGS and ASHA members to attend the party meetings claiming that they were convened by the Chief Minister. The NDA claimed about 1,000 Shiv Sena, CPM and Congress workers joined the BJP at Attingal the other day. About 10,000 persons have joined the BJP from other parties during the past four years. The NDA has announced grant receptions for the Save Sabarimala Yatra led by NDA chairman P S Sreedharan Pillai. District’s workers will join the rally at Alamcode on Sunday. Suresh Gopi MP will inaugurate the rally at 10.30 am. Karnataka MLAs Bharath Shetty and Harish Poonja will speak. The rally will reach Moonnumuku at Attingal at 1 pm. Workers from Nedumangad, Kazhakoottam and Chirayinkeezhu will join the rally at Thonnal temple at Pallippuram. The valedictory at Kazhakottam will be inaugurated by O Rajagopal MLA. National leaders will participate in the rally which will begin from Pattom on October 15 at 10.30 am. BJP national general secretary Muralidhar Rao will speak the protest in front of the Secretariat.